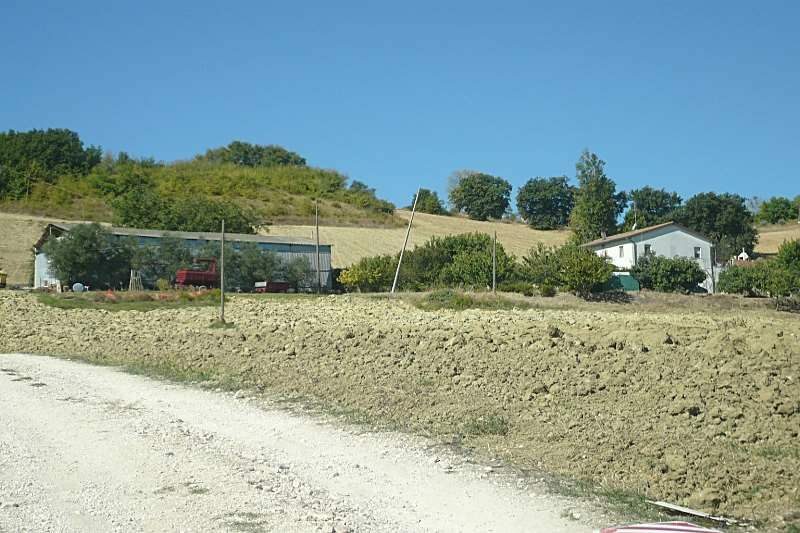 The price,the view, its position close to the Conero Riviera and Ancona Airport make this a very attractive proposition. 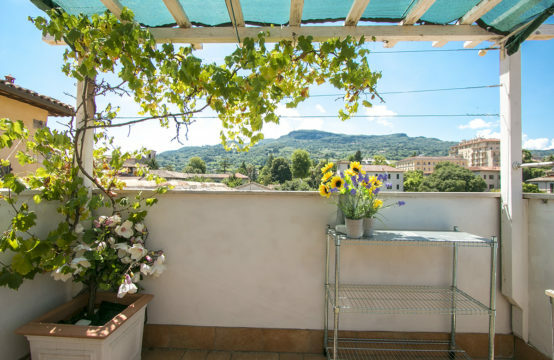 The potential uses are varied: combining the plans you get a large home for families; or can be obtained at the ground floor rooms to rent as B&B. 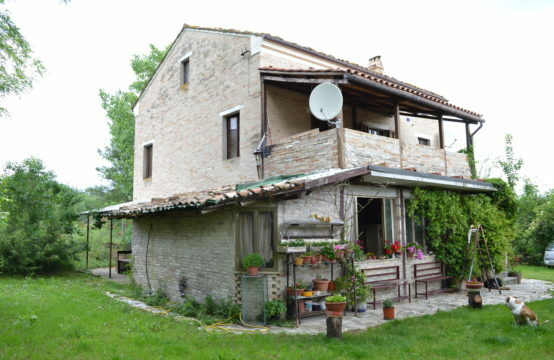 The house is typical of the Marche with stairs to the first floor outside. 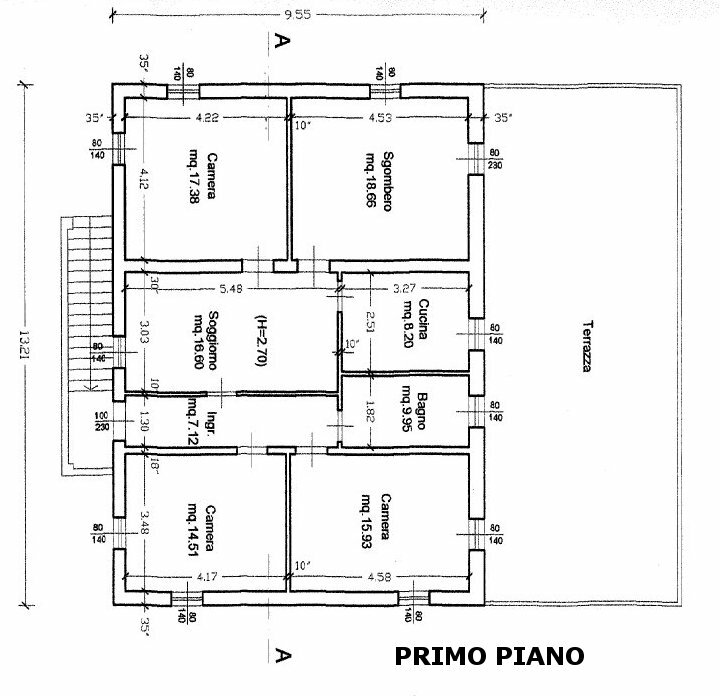 The ground floor of about 190sqm is in large part unfinished, the first floor of ca. 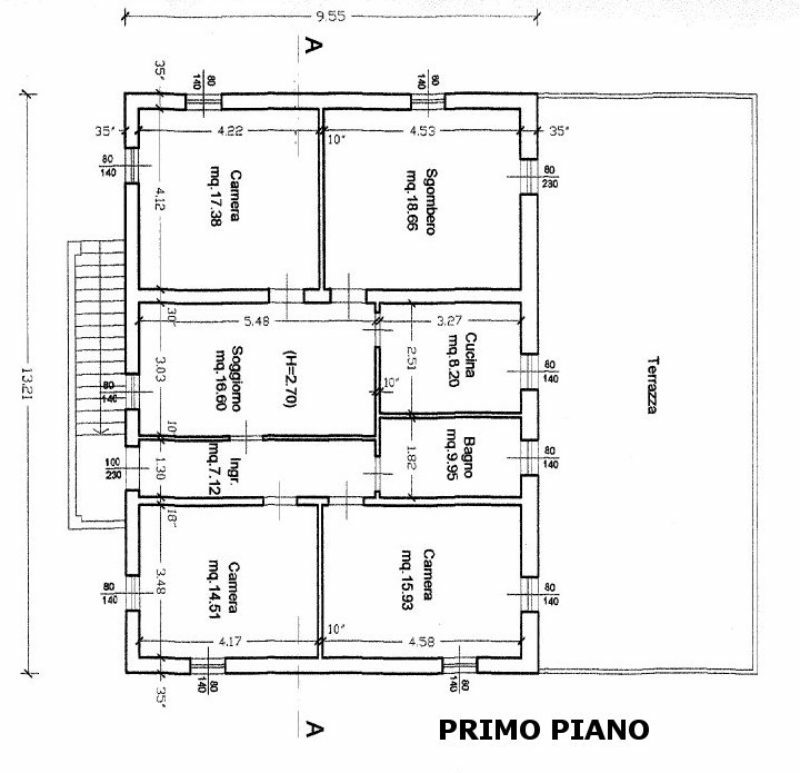 126mq consists of a small entrance, a living area comprising dining room, living room with a double aspect fireplace and dining area divided almost in an open space in which spaces are crossed by large arched windows giving the rooms luminosity and depth, kitchen is in masonry. A bathroom and two double bedrooms compose the sleeping area. 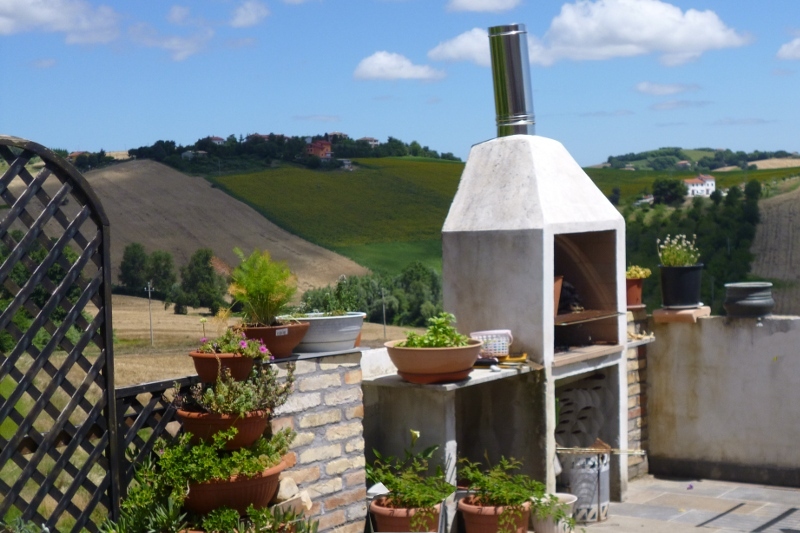 Complete the plan a large terrace, with brick oven, of about 65sqm. 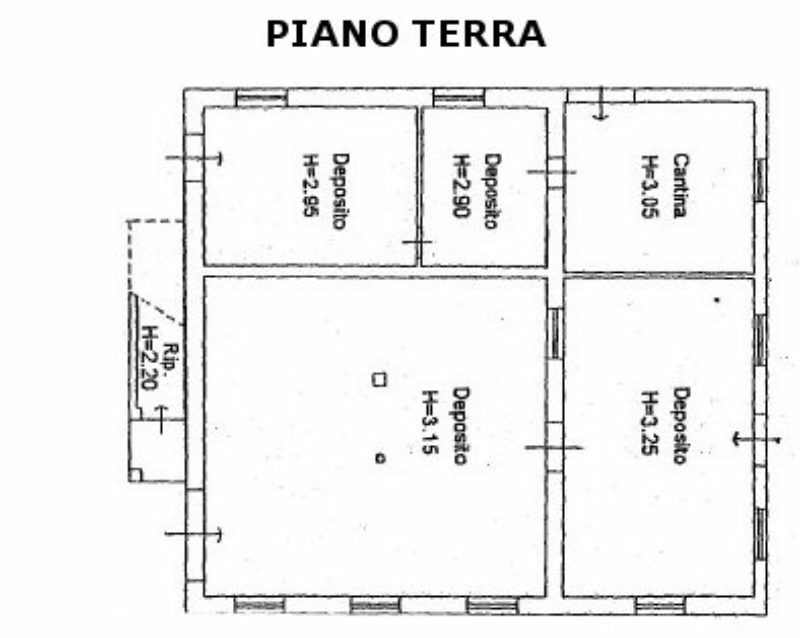 The land, not fenced, about 3.000sqm includes fruit trees and olive trees, a box for dogs and a masonry henhouse of ca. 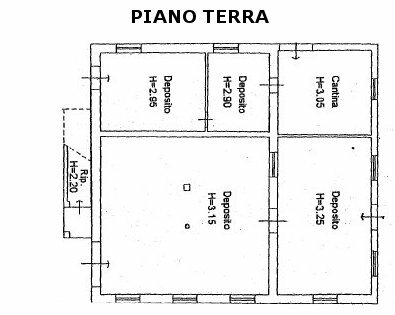 35sqm. Next to the house there is a barn, belonging to a different owner, that is easy screened with trees. 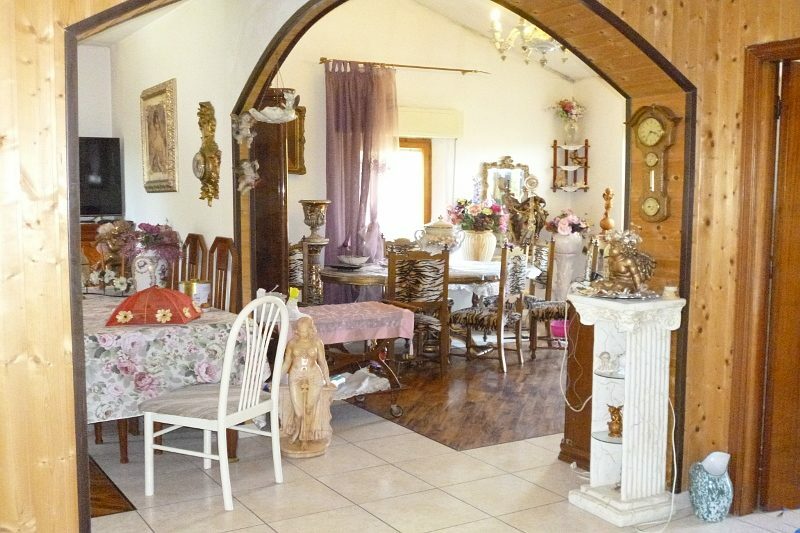 Inside, the first floor is habitable and in fair condition. The fireplace has a heat diffusion system a bit dated but functional. The floor alternates areas stoneware to others in olive parquet. The windows are in a reasonable state, someone double glazing. The ground floor except the two rooms finished, the rest is unfinished. The exterior needs some plastering work and painting but the roof is in good condition. 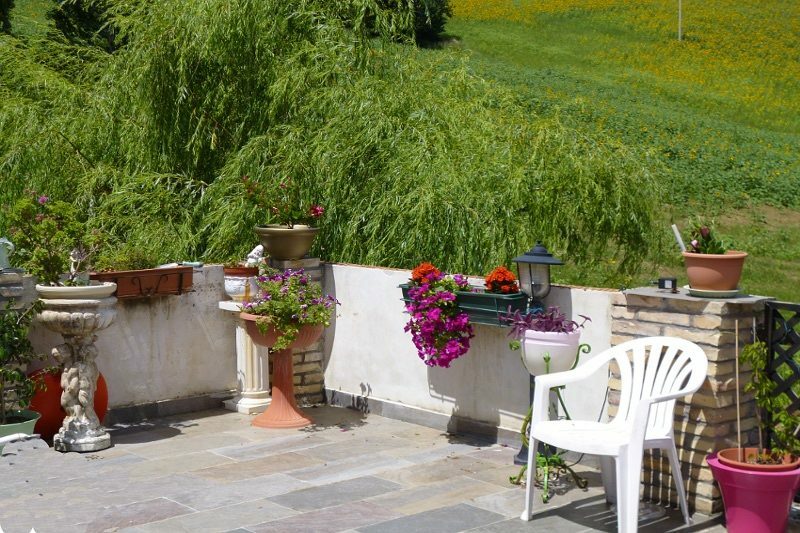 Casa Betta is located in the municipality of Osimo, in a rural setting with extensive views over the surrounding countryside, which is reached along 500m of white road. 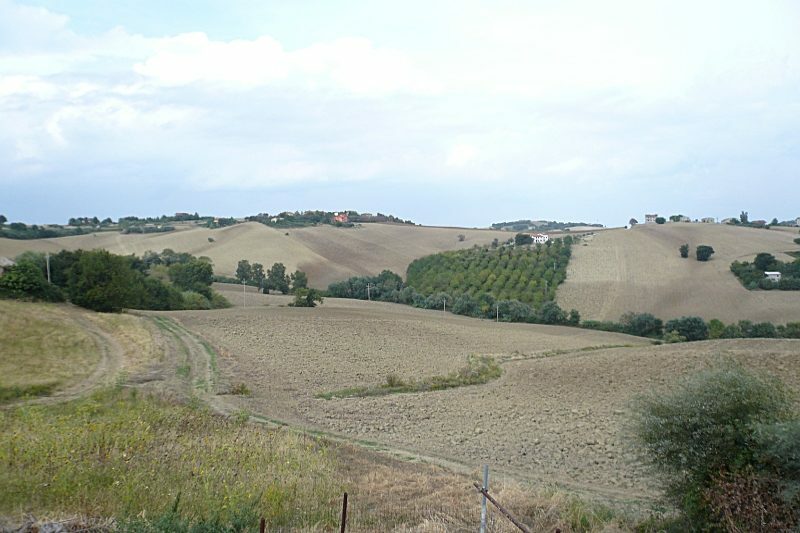 A few kilometers from the hamlet of Santa Maria Nuova, where are the main supply. 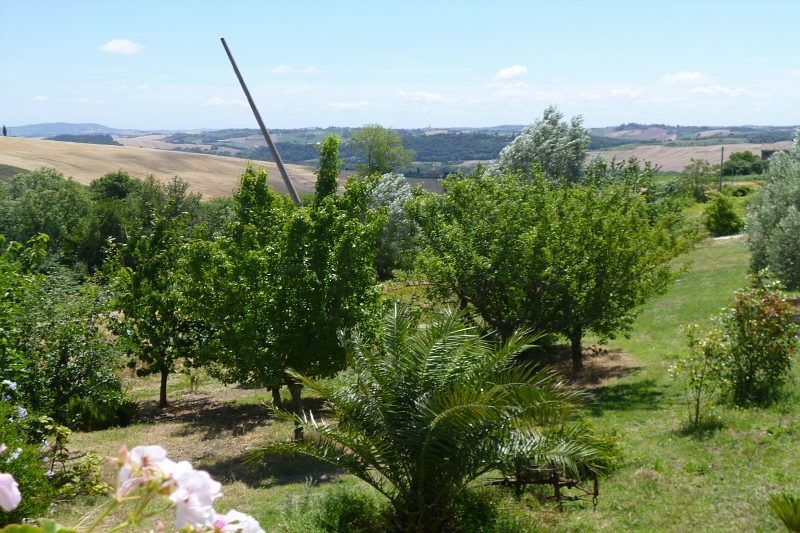 The charming town of Osimo is located about 15km; 30km to the beautiful coast of Conero and 30min drive from Falconara Airport.